The Nature Centre is so happy to announce our new nature program, funded in part by Our Cowichan Communities Health Network! Sea Squirts is a FREE, drop-in nature program where parents and their pre-school aged children and infants can come together to connect with each other, learn about nature in fun and engaging ways, and support the development of early literacy skills. Lead by our amazing, superstar Nature Centre volunteer Kerrie Talbot, a retired Early Childhood Educator and Library Assistant. It’s grounded in nature stories and learning with a strong social and emotional health component. 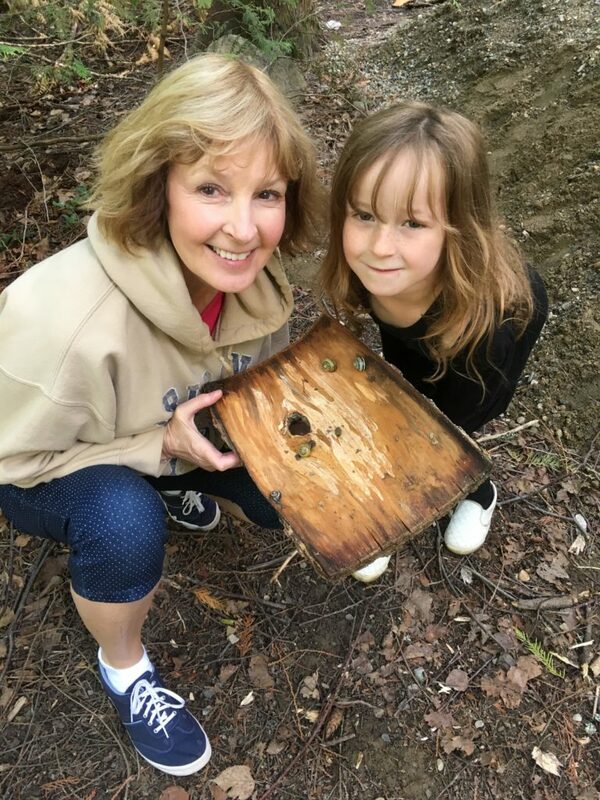 Volunteers are the backbone of the Nature Centre – and this month we’re shining the spotlight on the amazing Genevieve Singleton! 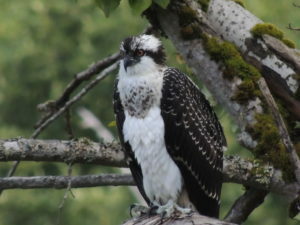 Genevieve grew up in Colwood and Oak Bay, moved away after marrying local landscape ecologist Dave Polster, and has lived in Calgary, Vancouver and Revelstoke until settling in the Cowichan Valley 29 years ago. Genevieve’s deep calling to share her love of nature with people makes the Nature Centre a ‘natural’ place to find herself. She and Dave were founding donors of the Centre and have been engaged in many ways since it opened. 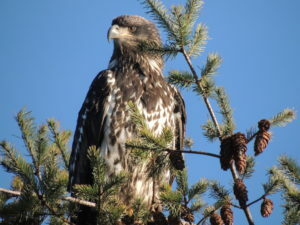 Among her various commitments to nature education and stewardship in the Valley and beyond, Genevieve still finds time to do nature programs with summer camps, introduce evening programs, and train Centre volunteers. Starting out with BC Parks, she has forty years of experience as a Nature Interpreter, getting to work all over BC! 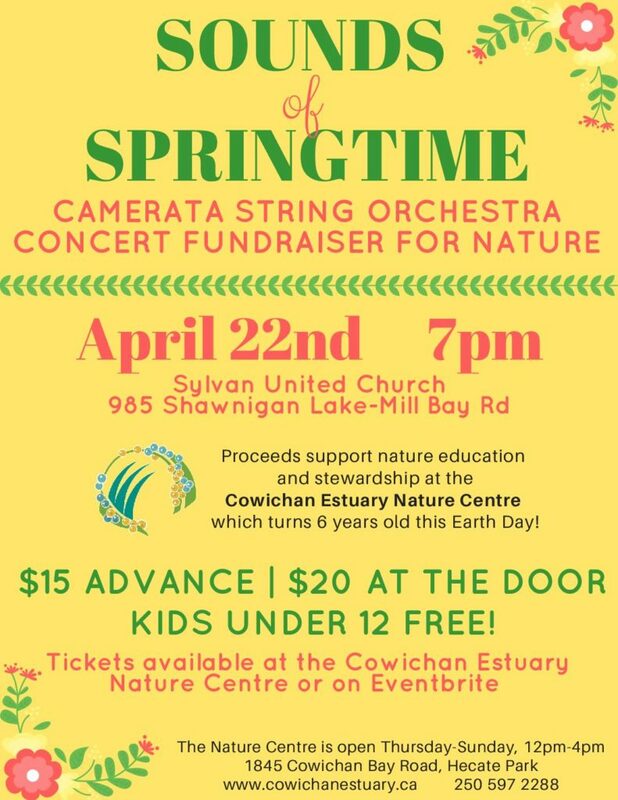 For the past 29 years she has taken thousands of children outdoors in the Cowichan Valley area. We are so grateful for you and all you do. Thank you Genevieve for your commitment, energy, wisdom, and support!! If you are interested in joining the volunteer ‘family’ at the Nature Centre, contact us here or email us. We love our volunteer family, and this month we’re happy to shine the spotlight on a new member of our family, Joy Beck! “Why do I volunteer? Well, I think it’s partly because of a snake named Sophie. Sophie is a gopher snake who lives at the nature centre in Lethbridge. She was raised in a pet store so she is tame and can be handled, but she serves as an ambassador for her wild cousins of a similar species that live on the prairies. Many people love to touch Sophie, and even hold her. Others are horrified and keep their distance. My hairdresser told me she refused to ever set foot in the nature centre because of that snake! That’s why Sophie came to represent the natural world to me. Like her, sometimes it seems exquisitely beautiful, sometimes it seems fearsome and harsh. Either way, it’s a world we are a part of and the nature centre provides such a great opportunity for people to explore some of that world and their connection to it. This month we’re shining the volunteer spotlight on the generous and talented Carol Blackburn. Carol has been volunteering at the Nature Centre for over 2 years now, and we are SO lucky to have her on our team! 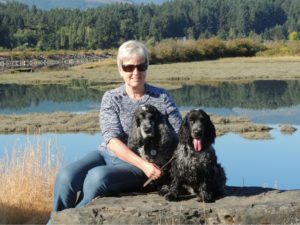 Originally from London England, she spent many years in Winnipeg before retiring from a career in Neurophysiology and trading in snow and ice for mountains and ocean! Carol has always been a nature lover and outdoors person, and her passion for nature shines through when teaching our school programs. 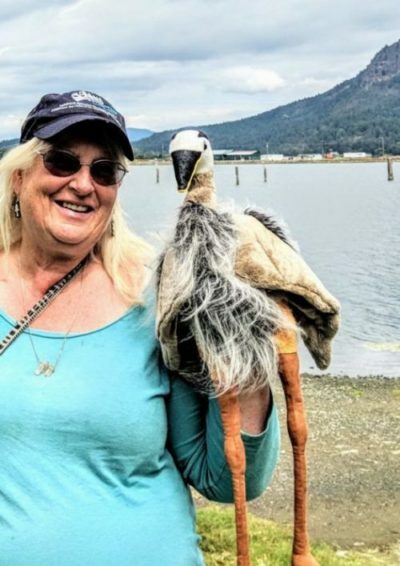 Whether she’s exploring the touch tank with tiny tots or helping older learners use a scope on the wildlife viewing tower, Carol brings both joy and knowledge to her nature interpretation. Carol, thank you for volunteering with us – we are so grateful for your time, energy, wisdom, and great attitude! 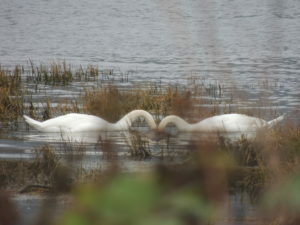 Below are some of Carols’ fantastic photos of estuary wildlife. If you are interested in joining the volunteer team at the Nature Centre, contact us here or email us. 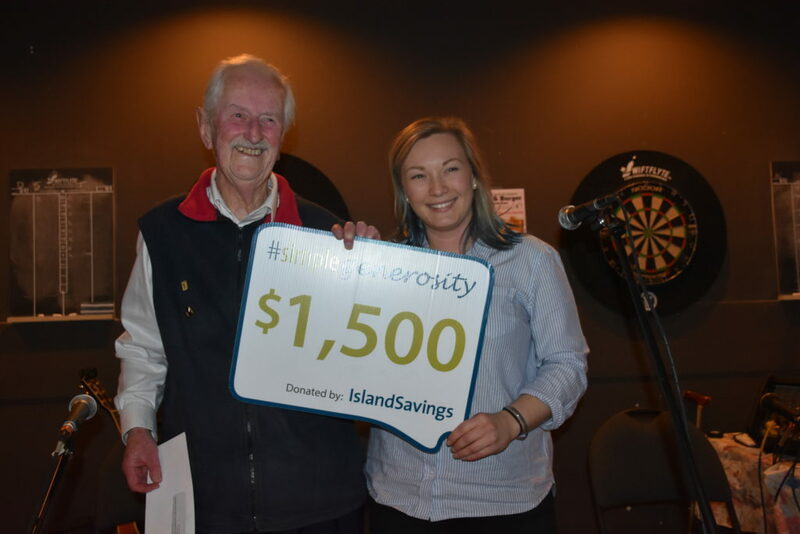 We are delighted to recognize long-time Nature Centre Volunteer Eric Marshall who was selected as an Outstanding Volunteer to receive the Island Savings #SimpleGenerosity Award. Eric received $1500 to give to a charity of his choice – and we are grateful that he kindly donated the funds to the Nature Centre. Eric Marshall and Cowichan Estuary Nature Centre Coordinator Haley Guest. Eric kindly donated the $1500 to the Nature Centre. #SimpleGenerosity was a year-long campaign of Island Savings and other divisions of First West Credit Union as part of an effort to celebrate the Canadians who make communities great by recognizing local volunteers, non-profit organizations and charities that are making meaningful contributions in our communities. In 2017, they recognized 52 outstanding volunteers or volunteer teams – one individual or group every week from communities throughout British Columbia. They believe that every act of kindness and every volunteer hour make our communities strong and vibrant. 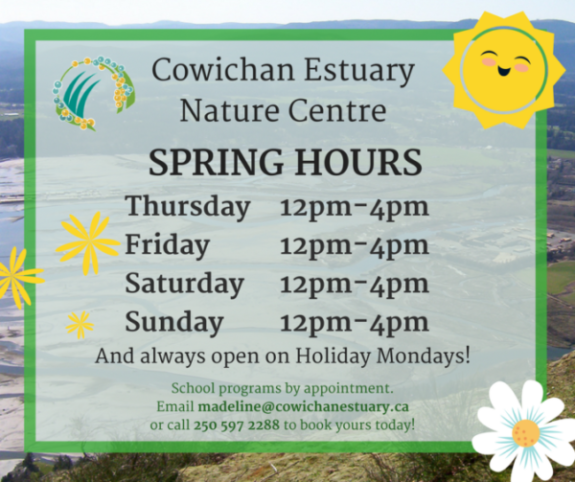 When you make a visit to the Cowichan Estuary Nature Centre, you’ll be greeted by friendly and talented volunteer nature interpreters. But did you know our volunteer family extends beyond nature education? Every month we receive help with ‘odd jobs’ from generous volunteers, and this month we’d like to recognize their tremendously helpful support! Two of our wonderful maintenance volunteers keeping the Nature Centres windows sparkly and clean! Whether it’s installing new outdoor lightbulbs, cleaning windows, providing tech support, or building new exhibits – we couldn’t do what we do without their help. 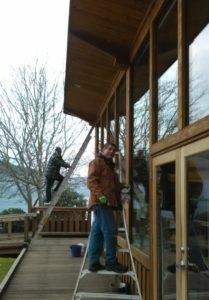 So next time you visit the Nature Centre and enjoy the view of the estuary from behind crystal-clear windows, think about all the ‘behind the scenes’ work that goes into keeping our community education space open. Thank you to all the ‘helping hands’ – there are too many of you to name, but you know who you are! !